If there's nothing you like more than to press the 'snooze' button on your alarm clock, this one is for you; you can actually do some good while you're lazing in bed. 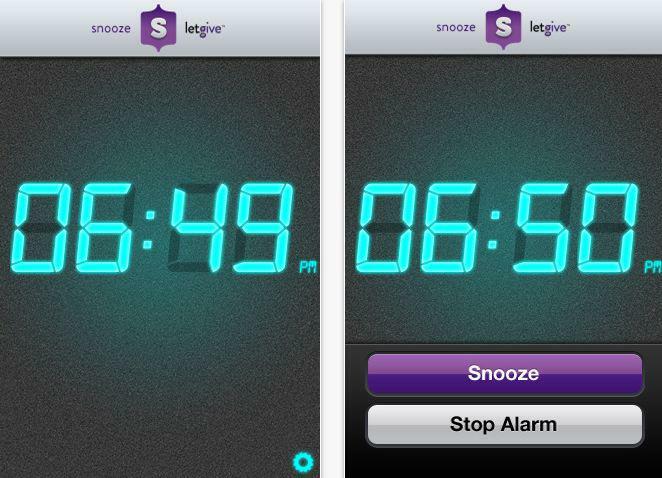 iPhone alarm clock app Snooze will donate 25 cents to a non profit in the LetGive network every time you press the 'snooze' button. All you need do is select the charities twice a month.